Whether the sport is marathon running or professional baseball, injuries unique to athletes take an experienced and knowledgeable practitioner to not only treat the injury but determine the best way to continue in the sport minimizing future risk. Dr. Jason Ingham of Advanced Spine and Sports Care in Chicago sees a host of conditions from back and knee pain to shoulder and neck complaints. He believes in preventative health care using a natural approach. As a chiropractic practice, Advanced Spine and Sports Care focuses on wellness — without drugs and surgery. Chiropractic care is based on maintaining the structural alignment of the spine and extremities and also takes into account the role diet, exercise, and emotional balance play in optimum health. Spinal injuries often restrict range of motion, slow reflexes, shorten endurance, reduce strength and decrease performance. In recent years, chiropractic care has come front and center for the treatment of these types of injuries because it doesn’t take a band-aid approach but instead is result-driven, providing the relief patients sorely need. Recognizing chiropractic’s effectiveness in this field, professional sports teams, Olympic trainers, and competitive athletes are employing chiropractic doctors to help keep competitors at the top of their game. 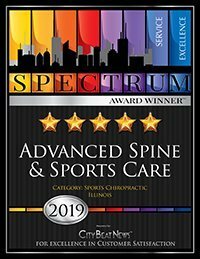 Advanced Spine and Sports Care is located at 4552 N. Magnolia Ave., Chicago. For more information, call 773-675-1434 or visit www.chiropracticsportscare.com. Threw Off His Gear In Disgust! “What’s wrong?” another student asked. Little Charles’ eyes opened wide and a smile broke across his face. “Yep… that would be the same Cole Miller! You should be proud of yourself… most guys can’t last 2 minutes with him.” A fire was lit and Little Charles knew he could do it. He started training at American Top Team in Boca Raton 6 days a week… twice a day on most days. He rode his bike 30-40 minutes each way. It wasn’t long before Little Charles started making his mark at the school. Grappling instructor Matt Welch was shocked after training with Little Charles. “I put him in chokes that would make anyone give up and he doesn’t. He just keeps fighting. In 15 years on mixed martial arts training, I’ve never seen anything like it. He never quits. He has that intangible, indescribable ‘something special’ and he’s going to be a star some day soon.” After less than a year of training, Little Charles won his first kick-boxing match by TKO. After a year and a half, he was scheduled for his first mixed martial arts fight. As it turns out, Little Charles is more special than any of his coaches knew. Little Charles recently lost his two brothers to drug addiction and he narrowly escaped the same fate before walking into American Top Team. Little Charles’ Father, Chucky Rosa, was on a mission to save other children from the evils of drugs. He started “Chucky’s Fight,” where he videos himself taking a swim in the ocean every single day. If you think this is easy, check out this video on Chucky Rosa taking a dip on January 18th… in the icy waters in New Hampshire… while it’s snowing.http://www.youtube.com/watch?v=Vf2-l7pgtIY Chucky Rosa is a mountain of a man and does not even appear the slightest bit cold while talking to the camera and wading into the near-frozen ocean. These frozen swims have not only saved the life of his son, but countless others who find the inspiration to walk away from drugs and live a beautiful life… and live a beautiful life is what Little Charles is doing. He’s not only one of the hardest workers at American Top Team in Boca Raton, Florida… he’s one of the most popular. He has a second family at the gym and a new outlook on life. He shows up for class early and is the last one on the mat. He is often seen working with the children… when no one has asked him to. He just takes it upon himself to help the little guys and show his enormous heart. Please, go to the youtube link above and check out Chucky’s fight and spread the word. Email it to your friends and whether you are a fight fan or not, remember the name “Charles Rosa,” because you will hear it and see him fight in the big show sometime soon. We love helping our patients and their friends and relatives through their tough times and getting them feeling better! We are here to help you stay feeling better and looking younger! Don’t be a stranger. Call us and we will assist you in putting together a customized maintenance plan. It’s not a luxury anymore! With our low monthly payment plan, it’s less expensive to maintain your good health! You really can afford Chiropractic care! Don’t wait until you can no longer move! Did You Know?… When most people think of burns, fire and heat usually come to mind. While it is true that heat is the leading cause of tissue damage known as a “burn”, a burn can also be caused by radiation (like a sun burn), friction, electricity, and chemicals. Most burns, other than the most severe, can be safely and effectively treated with natural home remedies. Burns are characterized by degree, based on the severity of the tissue damage. First-degree burns cause redness and swelling in the epidermis (the outermost layers of skin). Second-degree burns also involve redness and swelling, as well as blistering and the damage may extend beneath the epidermis to the deeper layers of skin (the dermis). Third-degree burns destroy the entire depth of skin and usually result in scarring. The damage may extend to underlying fat, muscle, or bone. The wonderful Aloe Vera plant is a top choice for healing and soothing burns. Since the active ingredient (acemannen) breaks down quickly, fresh inner leaf fillets are much preferred. Fresh Aloe Vera quickly soothes painful burns and often heals even serious burns with little or no scarring. Lavender essential oil is a very effective antiseptic that also reduces pain and promotes rapid healing. In addition, lavender reduces scarring. When lavender oil is applied to a burn very quickly, the burn may heal with no scarring at all. For larger burns, pour lavender oil onto gauze or a cloth and apply the gauze to the burn every few hours. A wonderful and widely available household first aid item for healing and soothing burns is diluted vinegar. Cover the burn area with a cloth soaked in diluted vinegar and refresh the vinegar compress as often as needed, especially if the pain returns. Another good household item is honey, especially raw honey. Honey has wonderful antiseptic and healing properties. Researchers in India found burns dressed with honey healed faster and with less pain and scarring. Another age old remedy is potato peels. Potato peels provide moisture and they also have anti-bacterial properties. Doctors have found potato peel bandages work better for minor burns than conventional dressings. Vitamins A, C, and E aid in the healing process for burns and other wounds. Zinc can help with healthier skin after the burn, as well as a quicker recovery time. Severe burns often heal with little or no scarring. Note: In the case of any very severe burn, seek professional medical care immediately. Raising children is one of the most challenging things you can ever do. Sometimes, they are your little angels and other times, your little devils. The most difficult thing may be identifying what causes each behavior. It would make things a lot easier around your house if you knew exactly what to do to raise the perfect child, wouldn’t it? Well, while there is no “perfect formula,” there are known (and common) reasons why some children misbehave. Just knowing and understanding these reasons can go a long way to creating a well-balanced child… and giving you some sanity! The first and possibly biggest reason children misbehave is simply because they are trying to figure out the whole new and enormous world around them. The way they do this is to TEST BOUNDARIES. As they develop, they will test or push whatever boundaries and limitations their parents have established. Unfortunately, many times, limitations and boundaries are weak – if existent at all. Boundaries must be strong and enforced CONSISTANTLY. A lack of consistency leads to a confused (and difficult) child. Since consistency is probably the most important factor, any difference between boundaries you set and your children have at school can cause a problem. Without consistency, children do not feel safe and comfortable. The world around them becomes a very strange and uninviting place. The end result is a greater level of testing of boundaries and increased stress. This can also occur with separated or divorced parents. Oftentimes a “good cop – bad cop” dynamic takes place. One parent tries to set and enforce the rules, while the other is the “fun” parent who gives the child anything they want in an attempt to win them over. The child usually favors this parent in the short term, but ends up with behavior problems. The best thing to do is talk to your children’s teachers and find out what is going on. The same holds true with separated parents. Although easier said than done, children must be put first. Also, make sure your expectations are within your child’s developmental stage. In other words, do not expect a 2 year old to have the attention span of a 5 or 6 year old. Make sure your children understand what is expected of them. Children are much more likely to act up when they are hungry, tired or bored… so, make sure you have a daily routine that meets all these needs. It is much easier to stay ahead of these basic needs than try to play catch-up once it is too late. 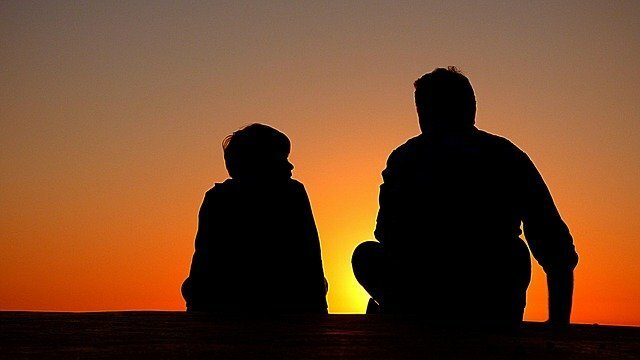 One of the most important things to remember is that children mimic the behavior of their parents. “Do as I say, not as I do” doesn’t cut the mustard. If you don’t want your kids to yell or swear but you and your spouse yell and swear at each other frequently, then you are in for a long, hard parenting road. Patient of the Month…This month’s patient of the month is Mr. Mike Emley! Congratulations! As usual, the patients of the month will receive a FREE DINNER and will bring as our guests, a couple of their choice, for the dinner! Last month’s winners, Barbara and Kevin Cisneros, reported back that they and their friends had a great time at Moma’s Fish House, and were delighted to be named patients of the month! Watch for your name here in a coming month! Remember, we’re always here, using the miracle of Chiropractic to help your body heal and maintain the health you deserve. This information is solely advisory, and should not be substituted for medical or chiropractic advice. Any and all health care concerns, decisions, and actions must be done through the advice and counsel of a healthcare professional who is familiar with your updated medical history. We cannot be held responsible for actions you may take without a thorough exam or appropriate referral. Important facts you should know about sunscreen. Recent research shows common ingredient in sunscreen may INCREASE risk of skin cancer. What SPF really means and why you are probably not getting even close to the protection you think. What ingredient in many sunblocks may cause hormone disruption? Why getting the “Skin Cancer Foundation” logo is easy… and doesn’t mean much. The FDA started to draft sunscreen regulations in 1978 – and they still are not complete! …This may be why nearly 1 in 8 sunscreens do not even block UVA rays! Chicago – For years and years, we have known two things to be true. First, the sun is bad for you… therefore exposure should be limited. Most people don’t know this, but the sun has three types of “rays,” not just two. The first is UVC. This ray usually does not reach our planet’s surface and this is good because it is believed only brief exposure to UVC rays is fatal. For many years, sunblocks and sunscreens only attempted to block UVB because science was unaware of the effects of UVA rays (the third type of sun ray) on the body. UVA was believed to be the safe ray in the 1980s, which spawned the growth and popularity of the artificial sun bed industry – some dermatologists even backed this artificial tanning! But, science now believes UVA rays actually do more damage than UVB rays! UVA rays are not dependant on how far the Earth is from the Sun – so the effects are the same all year round. Limit exposure to the harmful rays of the sun by using high SPF sunscreens and sunblocks. For years, the sunblock industry has been booming with the promise their products protect you from the sun’s aging and cancerous rays. For example, there is no consensus whether sunscreens prevent skin cancer. According to the Environmental Working Groups’ (ewg.org) finding, “The Food and Drug Administration’s 2007 draft sunscreen safety regulations say: FDA is not aware of data demonstrating that sunscreen use alone helps prevent skin cancer.” (FDA 2007). The International Agency for Research on Cancer agrees. IARC recommends clothing, hats and shade as primary barriers to UV radiation and writes “sunscreens should not be the first choice for skin cancer prevention and should not be used as the sole agent for protection against the sun”(IARC 2001a). Even worse, there is evidence emerging that sunscreen may actually INCREASE THE RISK OF SKIN CANCER! Researches speculate the cause(s) may be lack of UVA protection by most sunscreen for over 30 years, improper usage, staying in the sun longer with sunscreens and some of the ingredients. One big problem is the SPF (sun protection factor) myth. Then, there are the potential problems with the ingredients found in sunscreens. For example, oxybenzone, a common ingredient, is a known hormone disruptor. Retinyl palmitate (a form of Vitamin A also commonly used in sunscreens) may increase the risk of skin cancer. 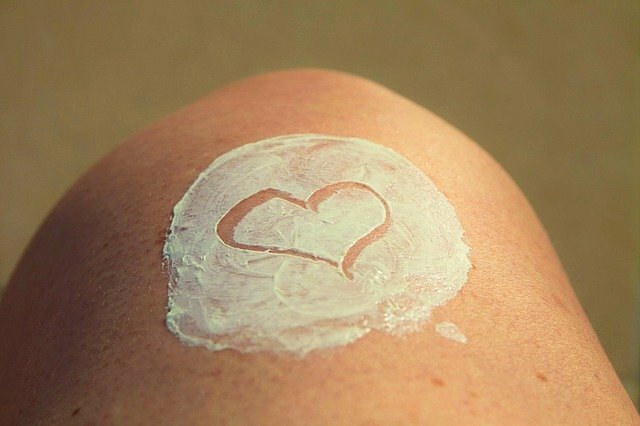 According to Environmental Working Groups, “The publicly available data from FDA’s new study suggest that when used in sun-exposed skin care products, retinyl palmitate and related chemicals may increase skin damage and elevate skin cancer risk instead of protecting the skin.”Also, according to Environmental Working Groups, 41% of all sunscreens contain retinyl palmitate. Confused? If you are, then you are not alone. Here’s something that will make the most of the confusion disappear… Since sunscreens are probably not as safe as once thought, the best thing to do is stay out of the sun during its peak hours (10:00am – 2:00pm) and whenever possible, wear protective clothing instead of chemicals. Don’t forget, some sun is absolutely necessary for Vitamin D production and proper health. The amount of sun you should get depends on your skin type but you should NEVER burn. Invite Friends, Family and Co-Workers to Advanced Spine & Sports Care and win an Apple iPad! Encourage loved ones to join the pain free life you are now living! Every person you refer to our office during the months of August, September and October will get your name entered into the raffle for the new Apple iPad! The more people you refer, the more chances you have to WIN!! Contest ends October 31, 2010. New Research: Cutting Carbs Better Than Low-Fat? Study shows this type of woman lost more weight after 3 months on low-carbohydrate diet than traditional low-fat diet with same number of calories. Not all people have the same response to diets. The hormone that may be responsible for your weight loss – or lack of weight loss. Why ignoring this hormone (and eating the wrong foods) can lead to not only weight problems – but early death. According to the researchers, for this group of women, the lower carbohydrate diet is more effective, at least in the short term. The study lasted 12 weeks and was funded by Jenny Craig. It found the insulin resistant women on the lowest-carb diet lost 3.4 pounds more than those on the low-fat diet. Total calories for all groups were the same. The low-fat diet included 60% of its calories from carbs, 20% from fat, and 20% from protein. The low-carb diet included 45% of its calories from carbs, 35% from primary unsaturated fats, and 20% from protein. Since the women in the above-mentioned study were all insulin resistant – you might be wondering, “what isinsulin resistance?” Insulin resistance is a condition where the body produces insulin but does not use it properly. Insulin is a hormone made by the pancreas to break down glucose in the blood so it can be used for energy. Glucose is a form of sugar and is the body’s #1 source of energy. After your digestive system breaks food down into glucose, glucose is then transported to different parts of your body via the bloodstream. Glucose in the blood stream is called “blood glucose” or “blood sugar.” After you eat, blood glucose levels rise and your pancreas secretes insulin to allow cells to absorb and use the glucose. When people are insulin resistant, they do not respond properly to insulin. In other words, even though the pancreas secretes insulin, it is not effective in getting the glucose from the blood into the cells. More insulin is needed so the pancreas works harder and secretes more. Eventually, the pancreas cannot keep up with the increased demand and glucose builds up in the blood. This is the beginning of diabetes. It is common for diabetics to have high levels of both glucose and insulin circulating in the bloodstream. Insulin resistance not only sets the stage for developing Type 2 Diabetes, it increases the odds of the number one killer in America: heart disease. Very good question. There seem to be several contributing factors. The first factor may be genetic. Some scientists think specific genes make certain people more susceptible to insulin resistance. But, genes aren’t everything. Weight and lack of physical activity also seem to play a major role. Then, there are the types of food you eat… The more junk sugars (ice cream, candy bars, etc.) you eat, the more your little pancreas has to work to keep up with all the sugar that has been dumped into the bloodstream. Just like everything else, there is only so much work your pancreas can do. If the pace is too high for too long, it will basically burn out and quit. It is important to stop this process before it gets too far. Exercise, weight loss and proper diet can reverse many cases of insulin resistance and pre-diabetes. With all of this information, the most important message to take away is this: Lifestyle has a major impact on your health. Different people react to different foods and diets in different ways, and it is important to pay attention to what you eat and figure out what is best for you. But no matter what, regular exercise and staying away from junk food loaded with bad fats and sugar is a very good idea. Research may not have all the answers yet, but to our knowledge, there is no study that says sitting on the couch stuffing your face with candy bars and ice cream is good for your health. Do you take good enough care of your body for it to last that long? “If I knew I was going to live this long, I would’ve taken better care of myself.” Those words by Eubie Blake couldn’t possibly have any more meaning than they do for Antisa Khvichava. Authorities from the former Soviet Republic of Georgia claim this remote villager recently turned 130, making her the oldest person on earth. She retired from picking tea and corn in 1965, when she was 85. She said she has always been healthy and worked her whole life. It is difficult to verify her age due to wars and the collapse of the Russian empire, but she has two soviet-era documents that attest to her age. For all accounts, her mind is as sharp as ever, but her body has all but quit on her. Her fingers are so deformed she can no longer knit, and she struggles to walk. But, she refuses any help to get around when she has to. While her mind-set and determination are admirable – but also realize how important it is to take care of the one body you are given. You never know how long you will need it. One has to wonder if she ate low-carbs or low-fat? If you love chocolate, you don’t need a reason to eat it. On the contrary – you need a pretty darn good reason not to! For years, chocolate was considered a delightful sin… a little guilty pleasure. According to the press release, the reduction seen for people with hypertension is comparable to the known effects of 30 minutes of daily exercise and might theoretically reduce the risk of a cardiovascular event by around 20%. And don’t forget, if you ever have any questions or concerns about your health, talk to us. Contact us with your questions. We’re here to help, and don’t enjoy anything more than participating in your lifelong good health. Did you know the car you choose can improve the odds of crash survival by 400%? In the popular magazine Consumer Reports, they wrote, “Ultimately, safety is active and passive, balancing the ability to avoid an accident and to survive one.” Typically, the first thing we do as consumers when we consider safety in a particular car is to look at the crash-test results. While this is important, we must first consider the size and weight so we compare crash-test results between cars in the same weight class since statistics show there are two times as many occupant deaths annually in small vs. large cars. Keeping size and weight in the foreground, when evaluating crash-test results, the front and rear end “crumple zone” of the car should be designed to absorb crash forces by buckling and bending in a serious collision. If you’ve ever watched race cars crash, you usually see car parts bend and break off as they bounce off the guard rail or other cars, sometimes to the point where all that is left is the cage surrounding the driver. Amazingly, the race car driver often climbs out of the cage and walks away, seemingly unharmed. The next important car feature to consider is a car with a structurally superior passenger compartment. Look for a high quality “restraint system” made up of 3 components: seat belts, airbags, and head restraints. These work together to keep us safe and in place during a crash while the outside of the car crumples, absorbing the energy of the crash. The NHTSA (National Highway Traffic Safety Administration) tests front end impacts at 35 mph, and in 1997 added side impact tests at 38 mph. They also test for the rollover potential for SUVs and trucks and grade the results for each category from 1 to 5 stars representing the likelihood of suffering a life-threatening injury in a crash. Since 1995, the IIHS (Insurance Institute for Highway Safety) has used a method reviewed by Consumer Reports as being more realistic by crashing only half of the vehicle at similar speeds into fixed barriers, since most crashes are not direct, whole car strikes. Consumer Reports is a 3rd option. They integrate the data from both NHTSA and IIHS and gives us their “CR Safety Assessment,” and run 40 new cars each year through numerous individual tests. Other important “accident avoiding” features often overlooked include: Tires – greatly impact braking and emergency handling so REPLACE them as needed; Braking-check for the distance required to stop the car at different speeds- the shorter, the better; Emergency Handling-data about accident avoidance and choosing a vehicle with electronic stability control (ESC), especially in SUVs is wise; Acceleration-the quicker a car can get to highway speeds, the better; Driver position and visibility-a good view of the surroundings, especially the “blind spots” is important. We realize you have a choice in where you go for your health care needs and we truly appreciate your consideration in allowing us to help you. Carpal tunnel syndrome or, CTS, is a condition where a nerve (called the median nerve) is compressed in a relatively tight or restricted space (called the carpal tunnel), resulting in altered nerve function that includes numbness and weakness. In order to fully understand what CTS is, let’s devote this Health Update to better understanding the anatomy of the carpal tunnel. The carpal tunnel is made up from 8 bones (2 rows of 4 carpal bones that are stacked on top of each other) that are arranged in the shape of a horse shoe. The “roof” of the tunnel is a ligament (transverse carpal ligament) that stretches tightly across the two ends of the horseshoe completing the formation of a tunnel – actually, an upside down tunnel when looking at the palm side of the wrist). The contents of the tunnel include 9 tendons and their covering (sheath), blood vessels and on top of all that just under the roof is the median nerve – the culprit that creates most of the symptoms of CTS. The cause of CTS is simply anything that causes the contents inside the tunnel to swell, which then compresses the median nerve up into the roof or ligament, pinching the nerve. This can create numbness, tingling, the falling asleep sensation and weakness. It’s important to point out that the median nerve starts out from the neck, passes through the shoulder, past the elbow, through the wrist’s carpal tunnel and ends in the hand – specifically fingers 2,3, and 4. Therefore, the ENTIRE nerve must be looked at for all CTS cases as pinching can occur anywhere along its course from the neck to the hand. It’s said that pictures say a thousand words, so let’s take a look! Using the pictures here, familiarize yourself with the words and re-read the 2nd paragraph above, periodically looking at these pictures until you feel you understand where everything goes. Once you’ve accomplished that, you’ll be able to better appreciate CTS, how the anatomy relates to the condition, and appreciate the need to reduce the swelling inside the tunnel when symptoms occur. The treatment is simple: “PRICE” – P protect R rest I ice C compress E elevate – accomplished by bracing (especially at night), ice cup massage (5 min. until numb 5x/day), rest (light duty work), and therapy (see your chiropractor!). We realize that you have a choice in who you are considering for your health care provision and we sincerely appreciate your trust in choosing our service for those needs. If you, a friend or family member require care for CTS, we would be honored to render our services. I’m sure we’ve all rationalized our inability to keep up with exercises, especially after our episode of low back pain (LBP) subsides. In fact, only about 4% of LBP patients continue doing their exercises after their pain subsides. That means 96% of us with chronic, recurring low back pain DO NOT exercise even though we know we should. We feel bad, even guilty for not exercising. So, what can we do to “trick” ourselves into being more compliant with our low back exercises? “Crossed Knee Stretch”: Cross your legs; pull the crossed knee towards your opposite shoulder (feel the pull in your buttocks); arch your low back and at the same time, twist or rotate to the side of the crossed knee. Hold for 5-10 seconds and repeat up to 3 times. Repeat this on the opposite side. “Sit Twists”: Reach across with your right hand and grasp your left leg at mid-thigh. Twist/rotate your back to the left and pull with your arm. Hold 5-10 seconds / repeat 3 times. Repeat this on the opposite side. “Sit Floor Touches”: Bend over as if to touch the floor or tie a shoe. Hold 5-10 seconds. If you do the math, it would take a minute for #1 and #2, 30 seconds for #3 (total 2.5 min.). If that’s too long, hold for 5 seconds. If that’s too long, do 1 rep, not 3. You get the idea…..MAKE IT WORK! Modify the dose to fit your schedule or ability to stretch. If you do this AT THE TIME you start to feel tight or sore, you can PREVENT a LBP episode! Have you ever noticed how many people have terrible posture? One of the most common faulty postures is called “forward head carriage” or “anterior based occiput.” Other terms are “hump back” or slouching. There are several reasons for this common postural fault. One is the weight of the head is, on average, approximately 10-13 pounds and if it’s positioned too far forwards, the muscles in the upper back and neck tighten up much more than normal, fatigue and become painful. Also, the muscles that attach to the skull have different degrees of strength. They also attach and pull at different angles, contributing to the common forward head carriage posture. The muscle of the chest are much stronger than those in the mid and upper back and tend to pull our shoulders forward. The following pictures offer a good view of both a faulty posture as well as a “good” posture. Notice the forward shift in the line in the pictures of poor posture and backwards shift in the good posture pictures. It is important to understand correcting Forward Head Carriage takes time – in fact, it takes a minimum of 3 month before this becomes an automatic new “habit.” Of course, it could take longer or, completely fail IF you are not VERY conscientious about CONSTANTLY reminding yourself to position your posture as shown above in the “Good Head Posture” image (above). An exercise based on this posture correction technique is performed by retracting your chin / head as far back as you can and holding that position for 5-10 seconds. Doing this multiple times a day, between the time you maintain a partial chin tuck (“Good Head Posture”) position will further facilitate the posture retraining process. A new study in the journal Alcoholism reveals that people who consume alcohol in moderation tend to live longer than those who don’t. The reasons are not entirely clear at this point as to why those who abstain from alcohol completely have higher mortality rates than those who consume 1-2 drinks per day, or even those who are categorized as “heavy drinkers,” but the evidence is slowly building that a drink per day can extend lifetimes. One proposed mechanism as to why moderate alcohol consumption results in longer lifetimes is that alcohol consumption can have amazing stress relieving properties. One mechanism by which alcohol can have positive effects on the health of those who consume it is by relaxing the cardiovascular system, thus reducing blood pressure and allowing the heart to relax just a little bit. And couldn’t we all use a little relaxation now and then…. Sleep longer, drop weight faster! Maybe Ben Franklin was wrong when he stated “There will be sleeping enough in the grave” and “The sleeping fox catches no poultry.” A recent study from our own backyard, the University of Chicago, concluded that dieters who slept an average of 8.5 hours per night lost 55% more weight than those who slept 5.5 hours per night! So sleep is not only important for our mental well-being, but also for our physical well-being. The researchers discovered that sleep might affect a hormone called ghrelin which increases appetite and fat retention. Think about it, not only can getting enough sleep make you a more positive person, but it can also help you shed pounds this holiday season. These sure are a pain in the neck! Headaches, we’ve all experienced them to one degree. They can be sharp and painful, or dull and annoying and arise out of, what seems like, thin air. But recent studies published in the Journal of Manipulative and Physiological Therapeutics reveal that a certain kind of headache, termed a “cervicogenic headache,” actually results from a lack of proper motion in your neck. I bet you’re wondering how that’s possible, how can restricted neck movement actually lead to something that seems to be in my temples, or between my eyes or even all over my entire head. Well, friends, the answer lies in the bio-mechanics of the neck – they actually found a direct relationship between the amount of restricted neck movement and the severity of the headache. So, what does all this mean? It means that if you are suffering from headaches recently or for a long time, without really figuring out why you’re having them, we may have an answer…Come get checked out! Research: Is low back spinal fusion surgery the correct first choice? A recent research article evaluated the 1450 people who were hurt at work resulting in low back pain. The purpose of the research was to evaluate the participants overall outcome with those who had low back pain and chose to go through spinal fusion surgery vs. those who had low back pain and did not choose to go through surgery. They followed these patients for the next 2 years. A fusion surgery is when 2 or more vertebrae in the spinal column are surgically fused together to prevent motion in the joints with the purpose of decreasing pain. The results of the study show quite a difference overall between what those 2 years were like for the people who had the fusion surgery vs. those who did not. For example, only 26% returned to work, compared to 67% returned to work. The total number of days off work were 1140 vs. 316 days, respectively. There were 17 vs. 11 deaths, respectively and, 27% of the surgical group required re-operations with a 36% complication rate. Also, there was a 41% increase in the use of narcotic medication with 76% continuing the use after surgery. This study should not be interpreted that all spinal surgeries are bad or that they are not necessary. Surgery is necessary in some instances. This information is being passed along to you because everyone who is faced with the tough decision of having a surgery should have a solid base of facts to consider. It is our goal at Advanced Spine and Sports Care to keep as many patients as we can from not having surgery. We do know that there are times when surgery is the last option but we would like patients to explore all of their options before having to go through such a procedure. Low Back Pain: Where does it come from? Our doctors at Chicago based Advanced Spine and Sports Care treat low back pain and other spinal disorders on a daily basis. When it comes to low back pain, there are many different structures that can cause the pain. Differentiating what is causing the pain is important because it guides how the doctor treats the problem. Two of the typical low back pain producers are facet joints and the spinal disc. The facet joints are the joints in the back of the spine that allow for motion and various types of movement. When these joints get misaligned or have restricted motion, there can be an increase in pain due to irritation of the joints and the surrounding nerves. Pain resulting from a spinal disc can often be different in nature than pain arising from facet joints. The spinal disc is a shock absorber located in-between the vertebrae (bones in your spine). A healthy disc space between the vertebrae also allows for proper spacing for the nerves to exit the spinal cord. There are a few different ways the disc can be involved in causing low back pain. A disc that is degenerating is one that is shrinking in size and losing a good amount of fluid contained within the disc. This is a process that typically takes place over a number of years and is a problem that you may not be aware of until it gets to the point where enough of the space is lost and pressure is applied to the nerve. A second way that the disc can cause pain is a disc bulge or herniation. This is when the outer edges of the disc become injured and can not properly contain the disc material and a bulge is formed. If this bulge or herniation is large enough, pressure can be put on a nerve and a number of symptoms can result from this pressure. Some of the symptoms caused by this pressure are: pain shooting into the buttocks or down into the leg, numbness or tingling in the leg or foot, loss of muscle strength in the leg or foot, and in an emergency situation there can be loss of bowel or bladder function (this would be a hospital emergency). The doctors in Uptown’s Chicago Spine and Sports Care may treat these two conditions differently and always do a thorough evaluation to find out what joints and nerves are causing the pain and why they are causing the pain. For example, if it is the facet joints causing the pain, there is a good chance that a patient may respond better to traditional chiropractic care. If the patient has a disc bulge or herniation, treating the patient with non-surgical spinal decompression on the DRX 9000 may be beneficial. Chicago based Advanced Spine and Sports Care is located on the north side of Chicago in the Uptown neighborhood. Uptown is close to both the Lakeview, Andersonville, and Edgewater neighborhoods. For more information or to schedule an initial evaluation for your low back pain, please call 773-649-5531.